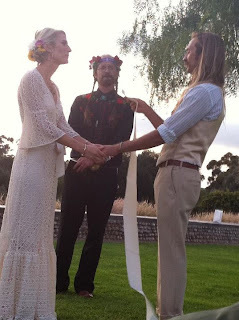 In what was the most exhilarating and purposeful day of my life thus far, I conducted the wedding ceremony for my dear friends and beloveds Lauren Passero and Kelsey Brookes in San Diego, California in a park between a setting sun and a rising nearly full moon on Saturday, September 10, 2011. An electric evening and weekend, full and alive. Thank you so much, friends. I love you.